Nature Editions | Nature Editions offers the latest articles, book excerpts and news from a new list of digital and traditional nature books. 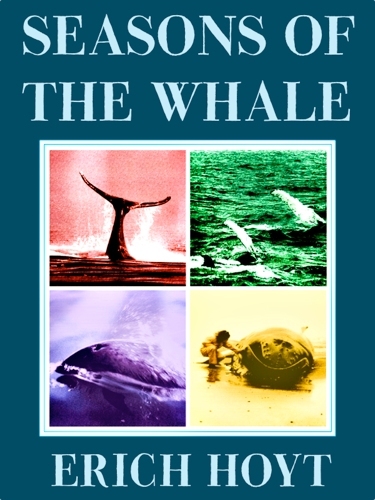 Announcing the first ebook edition of Seasons of the Whale, the classic tale of a year in the life of Comet, Stripe, and other whales. This ebook edition has a new chapter that updates the fates of these individual blue, humpback, and right whales known and loved by researchers and the public. Twenty-five years ago, Erich Hoyt began researching and writing this story as scientists tried to unravel what had happened following severe pollution events in the western North Atlantic and the Gulf of Mexico. The resulting story, largely from the whales’ point of view, was a clarion call for all of us to take much greater care with what we put in and what we do to the ocean. Now, in 2013, this eighth newly revised and expanded edition of the book makes us realize that the problems have not disappeared, yet there are many positive signs too in the persistence of even the most endangered whales and the growing relationships between whales and people. For review copies, cover image, and background, contact info@natureeditions.com. For author interviews or guest blog invitations, contact Erich.Hoyt@me.com.